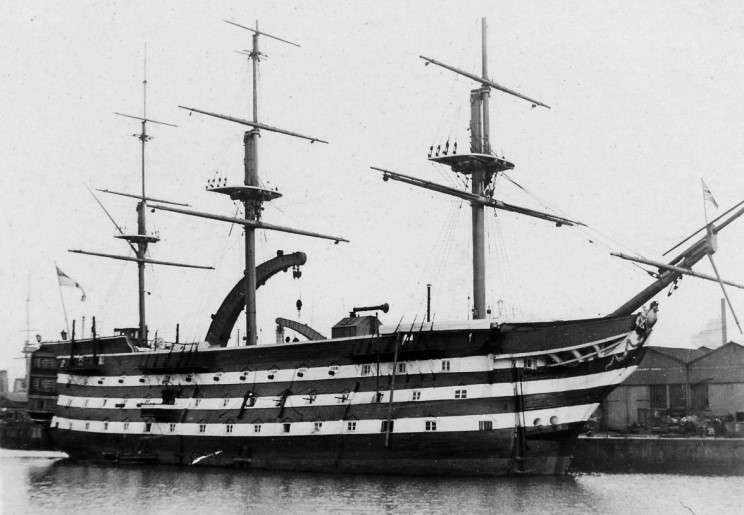 HMS Victory, date and location unknown. The sidewheeler Victoria is seen in the foreground. 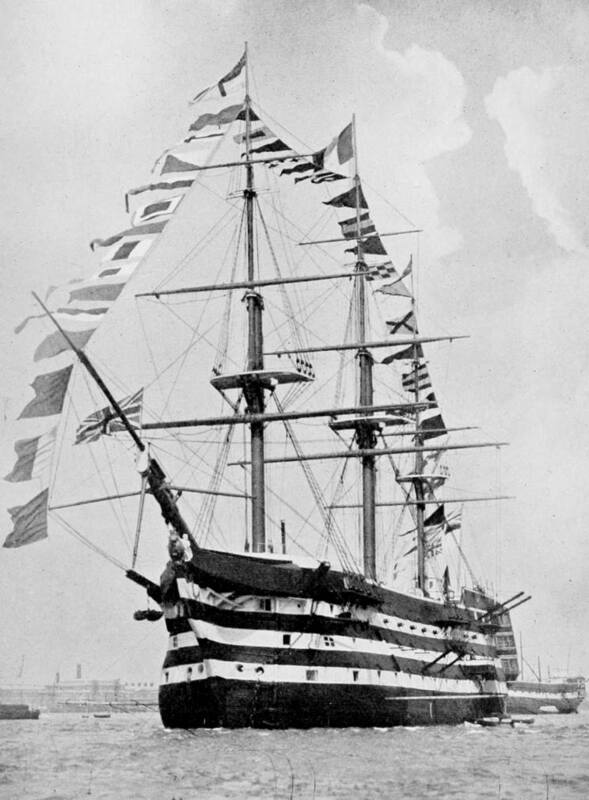 HMS Victory seen at Portsmouth, England sometime around the turn of the century. 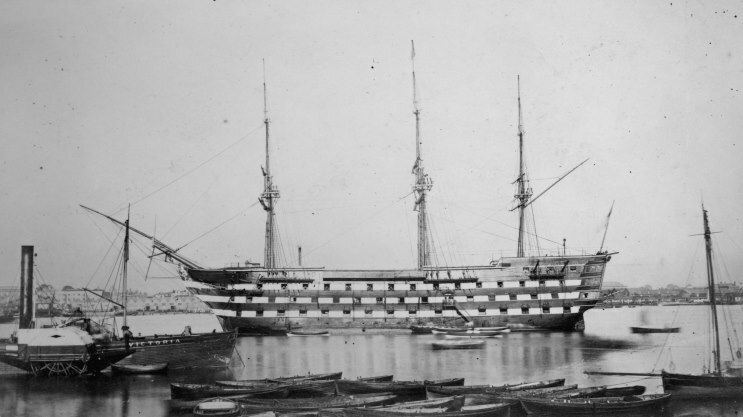 HMS Victory, date and location unknown. 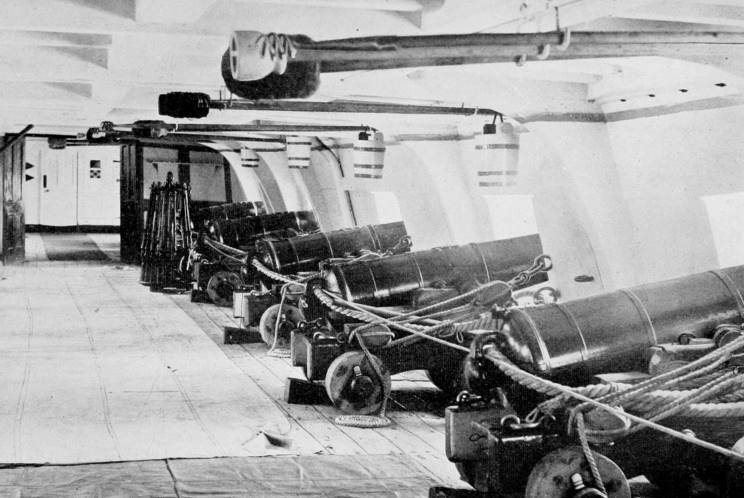 The gun deck on HMS Victory. 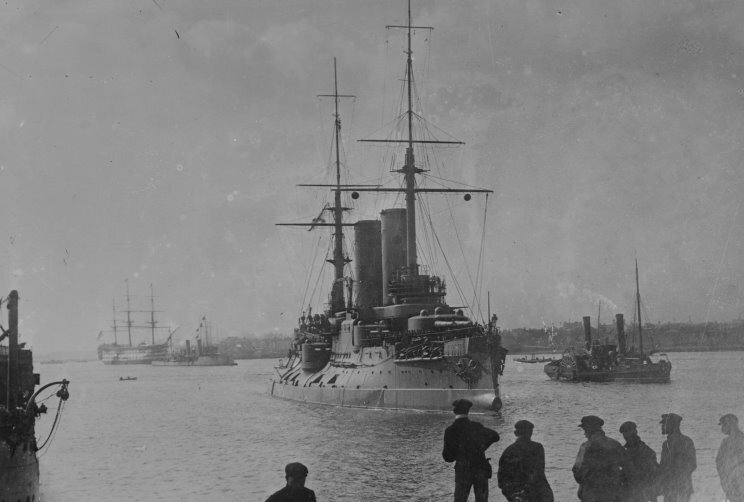 September 14, 1913: The Russian battleship Tsesarevich arriving at Portland, England for a port visit with HMS Victory seen in the background. 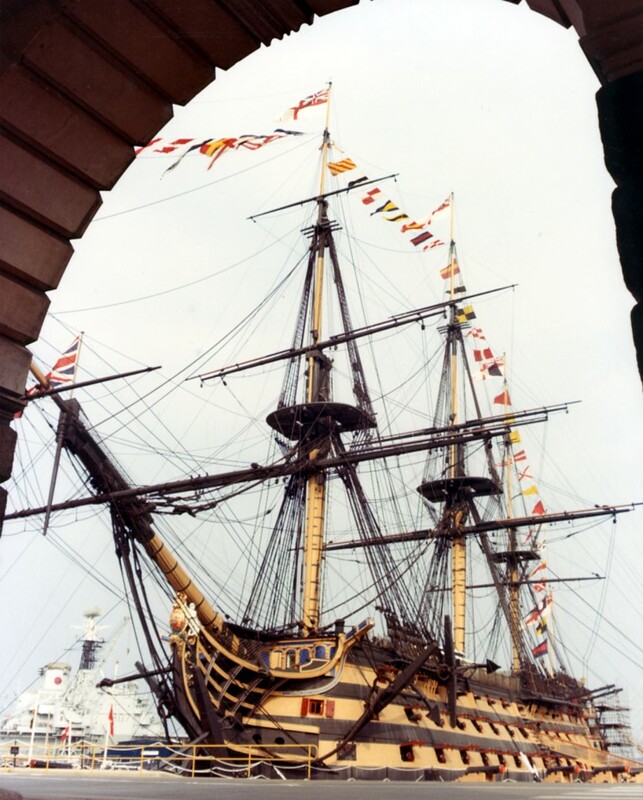 HMS Victory at the Royal Naval Dockyard at Portsmouth, England seen in the 1970's. 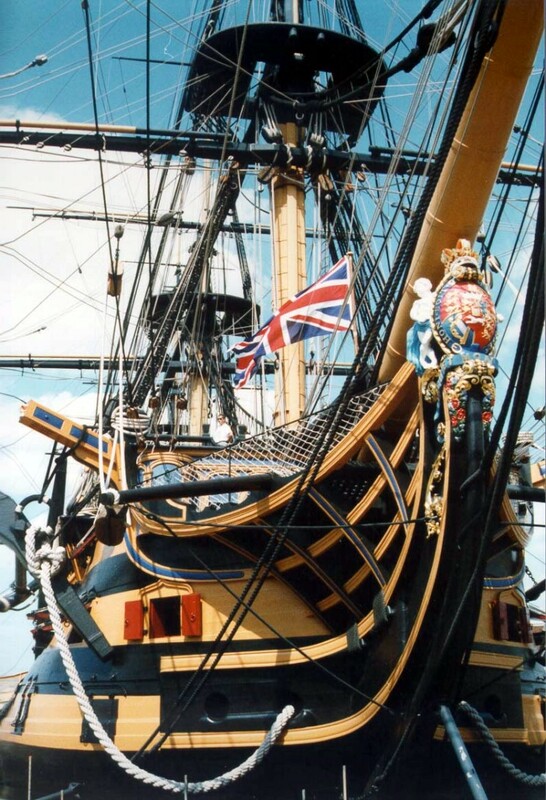 HMS Victory at the Royal Naval Dockyard at Portsmouth, England.